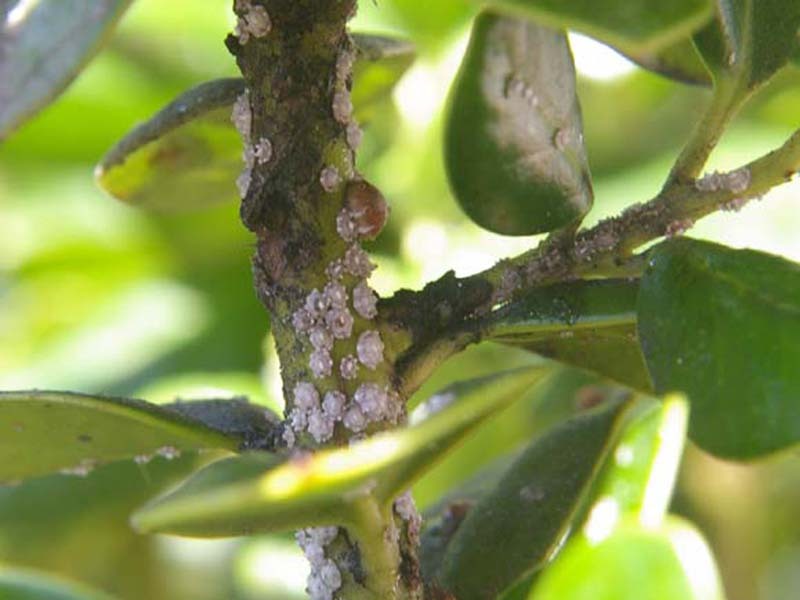 We discovered a Dwarf Buford Holly with a heavy infestation of Florida Wax Scale on its leaves and stems. These unusual looking insects are globular in shape and are covered with a heavy layer of protective wax secreted from their bodies. The wax ranges in color from white to grey. Ordinary features and body parts, such as antennae, legs, head, thorax and abdomen, are not apparent on these insects. 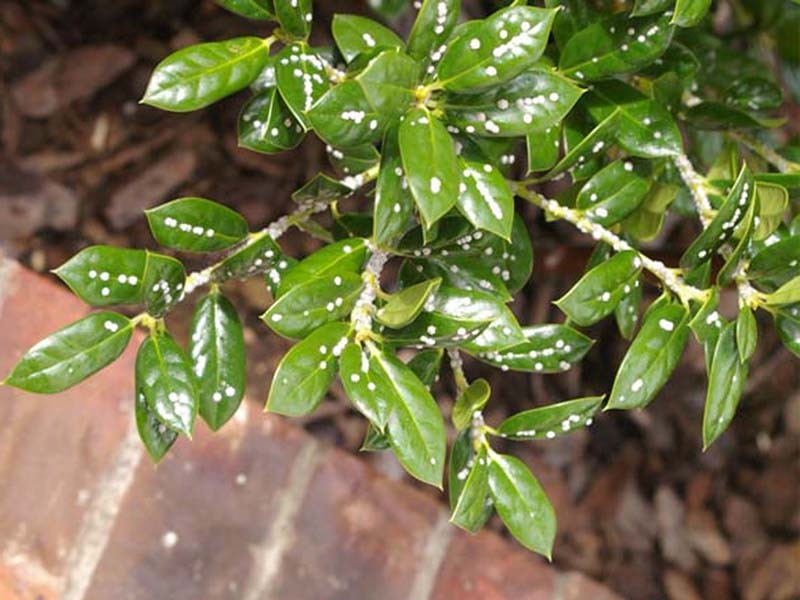 A Dwarf Buford Holly with a heavy infestation of Florida Wax Scale on its leaves and stems. A heavily infested Dwarf Buford Holly stem. Note the Sooty Mold growing in the honeydew secreted by these insects on the upper portion of the stem.